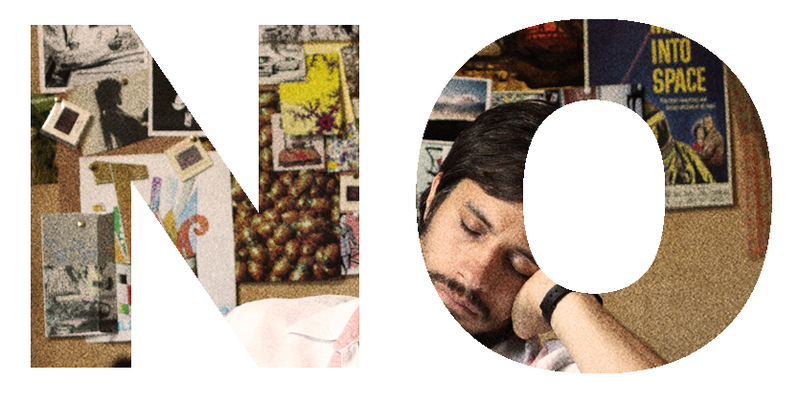 This article is a review of NO. What a film! This may well be the best picture of 2012. 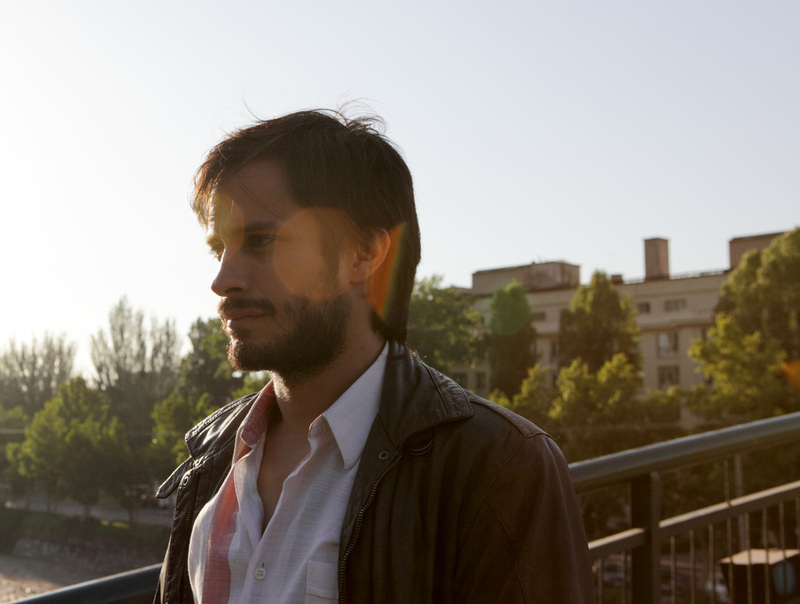 Gael Garcia Bernal has starred in two knockouts in one year. See also EVEN THE RAIN. Both coincidentally share an interest in creativity and political oppression. NO gets practically everything right. How often have I written that? Too rarely. In 1973 General Pinochet staged a coup and became Chile’s dictator, with First World help. 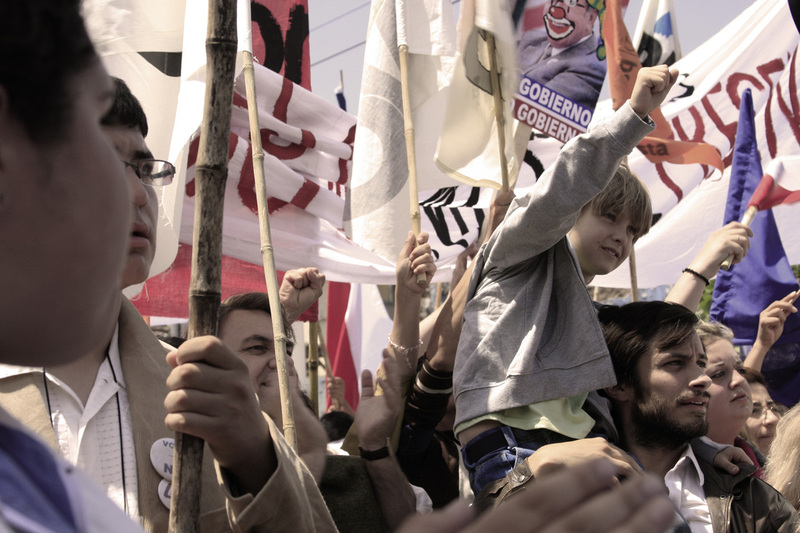 An oppressive regime, guilty of disappearances, torture and murder, has worldwide pressure placed on it to democratise. 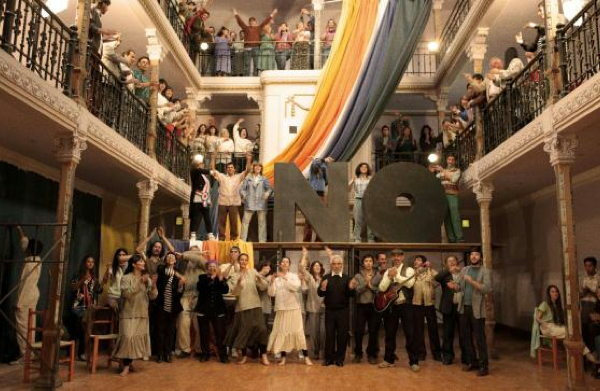 In 1988 the autocracy is forced to hold a national referendum: a simple yes or no plebiscite – for whether Augusto Pinochet should remain in power for the next eight years. The campaigns for the vote are to last 27 days. The opposition parties are allowed just 15 minutes of television per day to get their message out there. So do the regime, in theory, having also the rest of airtime to screen propaganda. - Will there be a free vote in reality? - Even if there is no polling intimidation, will corrupt officials deny the real outcome? - They may want to say “no”, but then what are they saying yes to? Is the devil you know better? Not only the above, the opposition is across ideologies. Unified on the “no” vote, but fractured as to how to present their case to the people; let alone what will happen after: The undiscussed hope of democratic elections. And on top of all that, there is still a large enough segment of the population who have benefitted under Pinochet. The nanny of the lead’s child tells him that her son is in college and daughter in work – the nanny is satisfied. We are in 1988, and the spectre of Communism, queues and plutocracy is a palpable fear to many. Wow, so the macrocosm deftly and subtly presented. 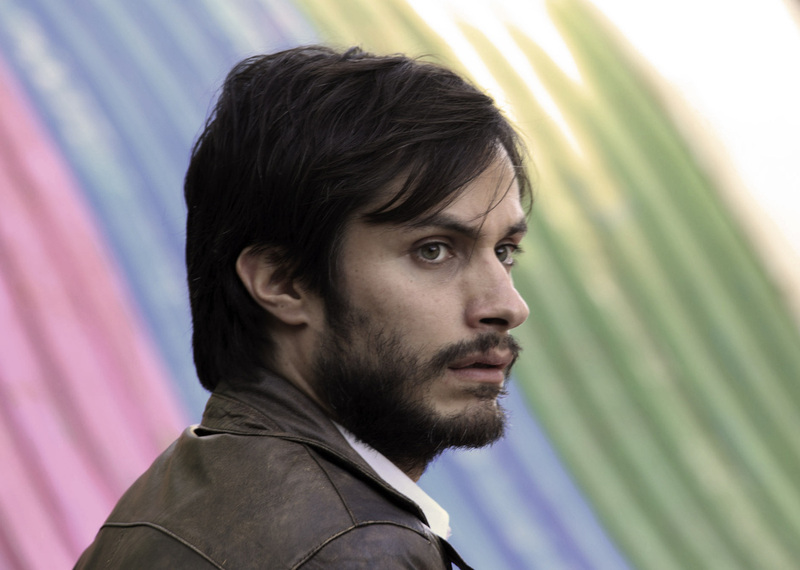 The intimate focus is Gael Garcia Bernal’s René. He is the Don Draper of Santiago. A gifted young advertising executive, who we first encounter presenting a soft drink commercial in glorious 80s gaudy slickness. Think the tomato ketchup ad with Matt LeBlanc. René is approached by the committee in charge of the “no” vote, to help them create a campaign to fill the 15-minute slot every day for a month. They catch him at the perfect moment. A crisis of conscience is brewing within him. René is on the verge of joining the elite if made partner at his agency. However, he lives in the shadow of his famous father, who seems to be someone of substantive note; and the estranged mother of his son is a courageous demonstrator for freedom. René clearly adores her. 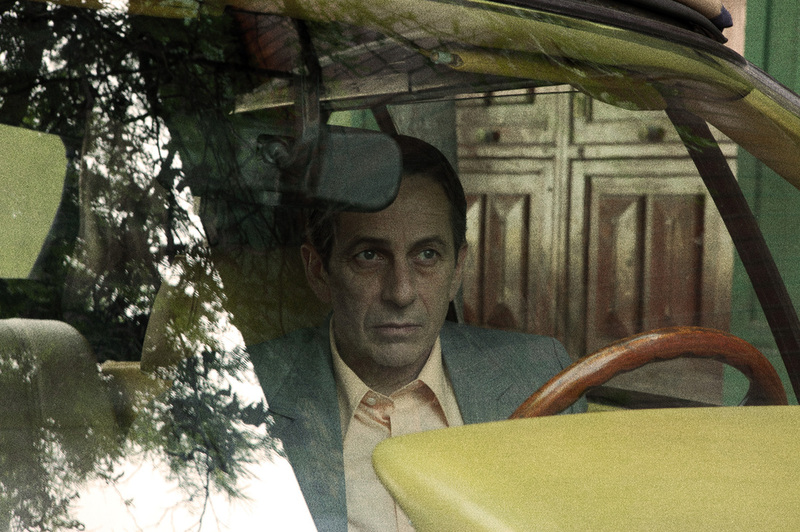 He though still is an employee, and his boss, Lucho Guzmán (Alfredo Castro), aligns himself with the regime – class conflict is efficiently nudged into the mix. The filmmakers, working at the top of their game, have thus set-up something potentially exciting. Not only do they deliver on that early promise, NO ends up being exhilarating and uplifting. The creation of the 15-minute segments are fascinating. The approach taken, to convince the nation, is audacious and joyous. (Plus commentaries on consumerism and capitalism creep into the narrative subtext.) And we’re not sure who from the cast will make it to the finish line, as the secret police start to flex its muscles. Then there’s the way NO is shot, in 1980s television grain and ratio, so stock footage and commercials blend seamlessly. Brilliant.